Set of 2 Wireless Bluetooth TWS speakers on charging base. Synchronised control between the speakers. Wireless connection to your smartphone, tablet or Bluetooth device with the option to plug in included 3.5 audio jack into the speaker. Easy charging with included USB cable. 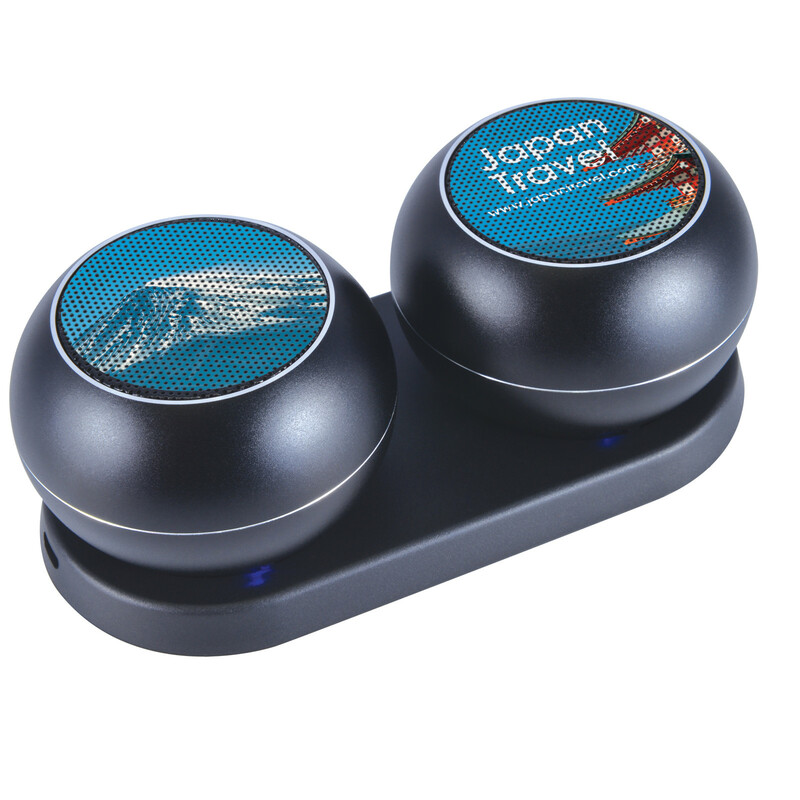 Stream music up to 6 hours and wirelessly up to 10 metre. Portable size, easy to carry. Packed in gift box.